Considering gift cards this holiday season? That can work out fine, but keep the following points in mind. 1. As I've pointed out before, gift cards/certificates still require that you think about what would please the person getting the gift. And make sure you understand any fees and expiration dates - and make sure the person getting the card understands them, too. 2. 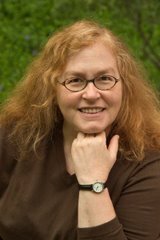 Concerned about whether the organization offering the card is going to stay in business? Read Consumer Reports for guidance. 3. Whatever values matter to you (green gift giving, buying handmade items, supporting local businesses) can be taken into account when selecting gift cards. 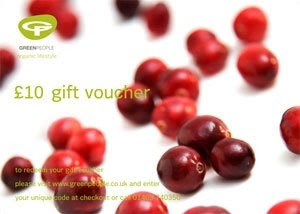 If you want to go green with your gift cards, you can buy one from companies like Green People in the U.K., which sells gift vouchers. You can go for handmade items, too. 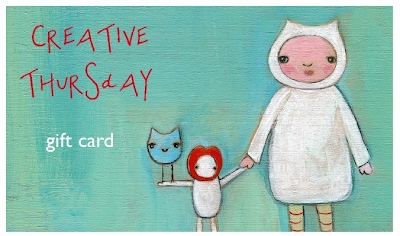 The gift card above - a work of art in itself - comes from Creative Thursday on Etsy. And of course you can buy gift cards from local businesses. Or if you live in or near Amesbury, Massachusetts, you might get a gift card from the Chamber of Commerce good at many local businesses.